The appropriately named Jarrett Walker is the author of Human Transit, a seminal text on transportation and cities that draws on his decades of experience in urban planning; he has the distinction of being called "an idiot" by Elon Musk on Twitter, when he pointed out that Musk's Boring Company tunnel proposals could not possibly work due to their low capacity. As in, "It doesn't matter how tightly you pack self-driving Ubers together on our roads. If all the people who make your coffee and empty your wastebin are in private vehicles rather than on buses and trains, the roads will be at 5 or 10 times their physical capacity." This emphasis on private vehicles leads people to seize on technological fads to defend the indefensible -- hence the vogue for describing the smartphone as the key technology for transportation, or self-driving cars, or data-driven custom shuttle routes that re-route themselves based on demand signals from riders' phones. These all share the geometric flaw: even the smallest cars, packed as tightly as possible, multiplied by all the people who rely on buses and trains, will overflow all the roads we have now and all the roads we could ever build. Walker tried to explain this to Elon Musk on Twitter, discussing how his proposed Boring Machine tunnels' narrow bores meant that on the one hand, they couldn't carry enough people to make an appreciable difference in traffic, and on the other, that his proposal for allowing private cars to run through the tunnels is nuts: "The amount of the city that you would have to level to create enough of those elevators to get everybody’s car into the tunnel at 5:30 in the evening, it’s preposterous; it cannot help being. Anything that is that inefficient has to be only for elites." Musk called him an idiot. Uber is engaged in an incredibly expensive exercise in discovering the basic facts about the geometry of transport and it is inevitably steering them back to the reality that fixed routes are more efficient than anything that you can do that’s responding to individual requests, that it is the very nature of the efficiency of public transport that you do not deviate in response to what individuals request. 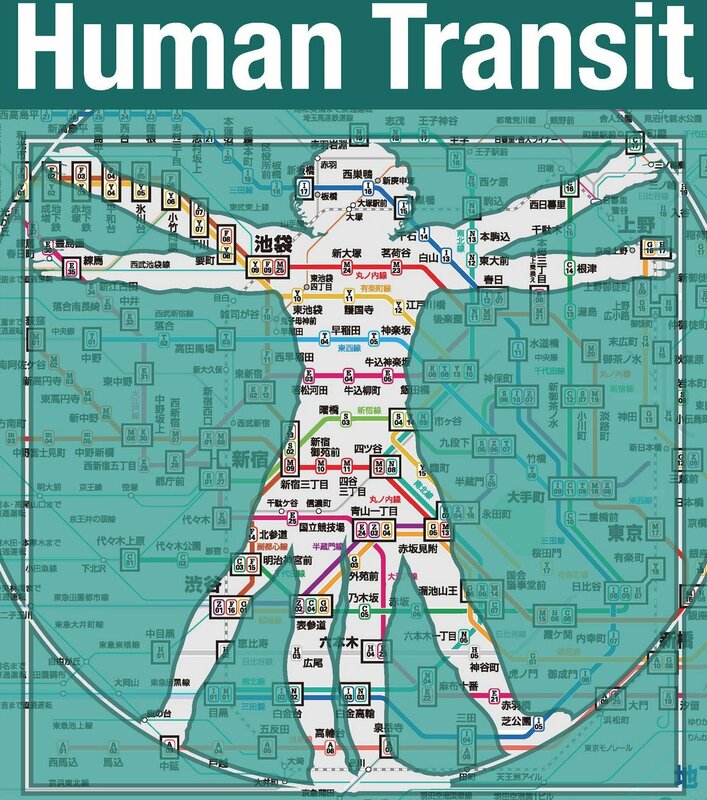 This has interesting connections to another marketing craze, which is the notion of big data, the notion that we now have so much more data about individual people’s transport needs that this ought to completely transform how we plan public transport. And the message is always fundamentally, Grandpa, what did you do before we came along? How did you manage in the Dark Ages before we came along and showed you this? And the answer is, we did fine because most big data is big detail and the Tube isn’t going to change anything it does; the New York City Subway is not going to change anything it does, just because we now have data, knowing that at 07:34 p.m., six people from over here go over there to that park when the weather’s nice. That’s the sort of data we’re getting and it’s not relevant to the design of high-capacity transit systems. It is in the nature of highly efficient public transport that you do not vary your routing according to that sort of detail. And I want to say, a lot of fantastic things have come out of big data but it’s also been, kind of, comically oversold as information at a level of detail that isn’t actually relevant to how plan high-efficiency, high-[unclear] public transport.